Neon signs are a surefire way to attract the attention of people passing by. They’ve been lighting up the streets of Vancouver since the 1950s. Neon signs are bright and flashy enough to make anyone’s head turn. That is the exact reason why numerous establishments have continued to invest in glitzy neon signs. It’s no different in the city of Vancouver, British Columbia. Here is a list of some of the best neon signs in Vancouver. Did you favorite not make the list? Let us know in the comments! The boot-shaped sign is the trademark and tribute to the legacy of the store’s founder, Charlie Wohlford. In 1940, Wohlford had noticed that several loggers had difficulty finding a place to get their boots repaired. 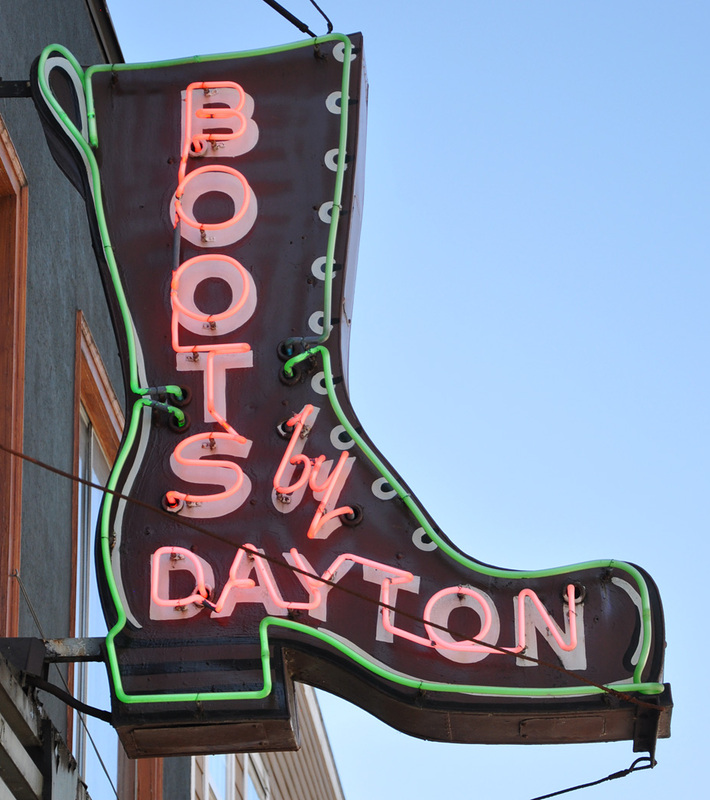 His friends then urged him to start making and selling his own brand of handcrafted leather boots, which he named “Dayton.” He then created a bright neon sign outside to attract potential customers. About 70 years later, the original neon sign can still be seen outside this store. Known as one of Vancouver’s most iconic neon signs, it still shines at North Burnaby along East Hastings Street. 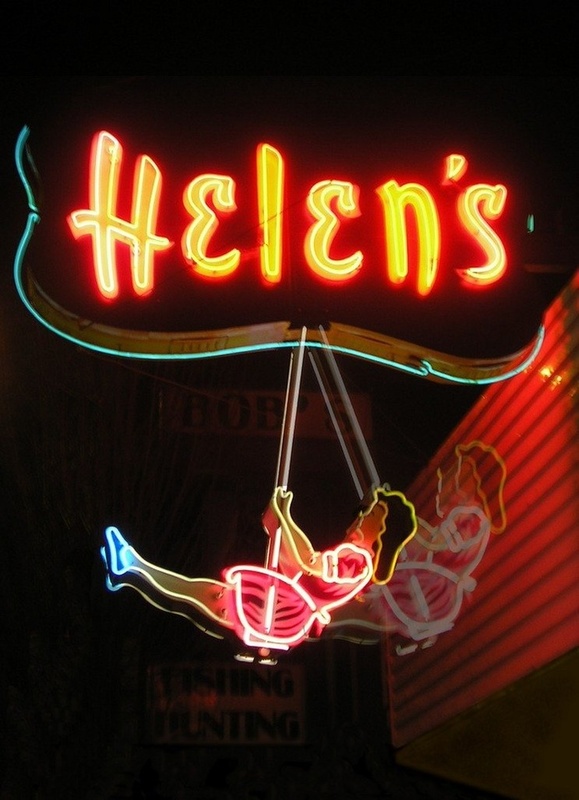 Installed in 1955, the sign shows a girl, Helen, moving back and forth on a swing. Lighting up at night, this heritage sign was able to survive the 1970s crackdown on bright neon signs. It continued to serve as an advertisement for the store until 2006 when the establishment unfortunately closed. It is now considered as a landmark that has survived the test of time. 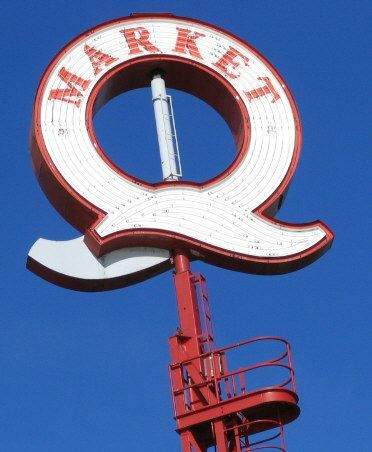 A giant rotating neon ‘Q’ is definitely something you wouldn’t miss when you visit North Vancouver. Back in 1986, the Lonsdale Quay Market opened its doors for the World Expo for various food and retail purposes. The ‘Q’ that proudly stands tall in the center is a representation of the community in the Lower Lonsdale area. It is also actually possible for anyone to climb to the top if they want to see a breathtaking view of Vancouver’s skyline. The Smilin’ Buddha Cabaret was a popular hub that held live concerts and music events until 1992. This particular place holds a rich amount of history in the city of Vancouver. It stands as a symbol of the successful post-war entertainment scene in the area for many years. Sadly, the club closed and the neon sign was purchased and restored by a band called 54-40. It is now placed on display in the Museum of Vancouver. One of Vancouver’s most popular neon signs, it advertises the Orpheum which was built in 1927. It was part of a movie chain called the Orpheum Circuit which could house 3000 people, costing $1 million to build. The original neon sign read ‘New Orpheum’ until it was replaced in the 1940’s with the sign that we have in the present. The Sylvia Hotel’s ‘S’ sign is a landmark in the English Bay area. It was a seaside estate opened in 1913 as an upscale apartment building with 77 units. It was also the city’s first ever cocktail bar and remains a local treasure. It is now a hotel and is considered a gem in this quiet neighborhood. Though the Sylvia Hotel has undergone a few renovations and transformations over the years, of the best neon signs in Vancouver still stands today. The iconic symbol is nestled quite perfectly amidst lush plant life on the establishment’s exterior. Opening in 1891, Woodward’s was originally a department store with its ‘W’ neon sign acting as a landmark for those who lived in Vancouver. Woodward’s was famous for its Food Floor, various retail sales, and money-saving deals. Now this ‘W’ sign can be found in the courtyard near The Charles Bar on West Cordova Street. Another interesting thing to note is that a ‘W’ replica was built on top of a mini Eiffel Tower in 2010. 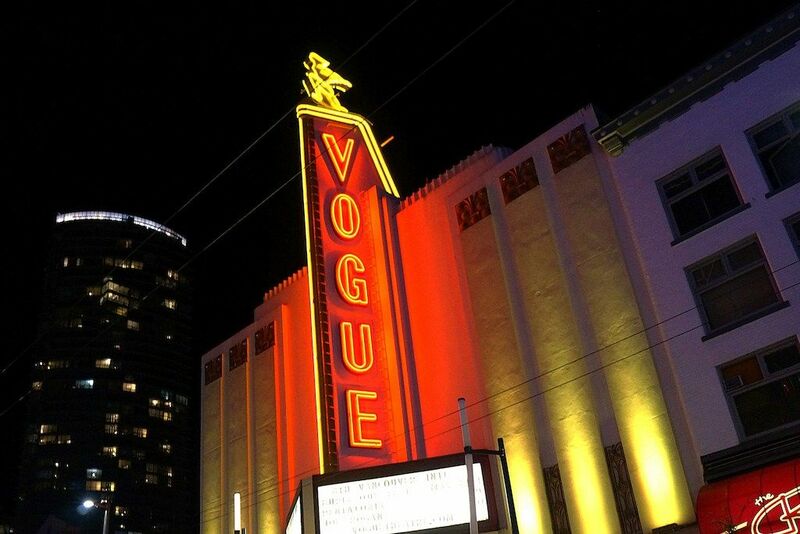 Near the Orpheum sits the Vogue Theater, an Art Deco theater topped by a 12-foot figure of Diana, the Roman goddess. It was opened in 1941 and continues to be a notable landmark in the City of Vancouver. It’s one of the few remaining establishments from the original “Theatre Row.” The famous ‘Vogue’ neon sign is 62 meters high with the colors of the lights changing over time. It is truly an iconic sight to see in this picturesque city. Love seeing these attention-grabbing neon signs in Vancouver, British Columbia? Then it’s high time you get one for your business too! It’s positively an easy way to pique the interest of anyone who passes by your establishment. Not only does it add flair, but it can also help make your customers feel a wave of nostalgia when they go to your store. Even millennials consider neon signs as the perfect background for their next post on Instagram! Consider getting a neon sign from trustworthy neon sign craftsmen. They’ll be able to create any neon sign you envision and turn it into a retro masterpiece! An experienced neon sign maker can ensure you of quality and safe custom neon signs. Contact us today!